Everyone faces obstacles in life, big and small. No one is exempt, no matter what their life may look like. Whatever you feel at the moment: fear, hopelessness, anger…it will soon pass. Remember how resilient you are and the strength you have gained from each hurdle you overcame. You can do this! Please take the time to listen, love, and support one another. 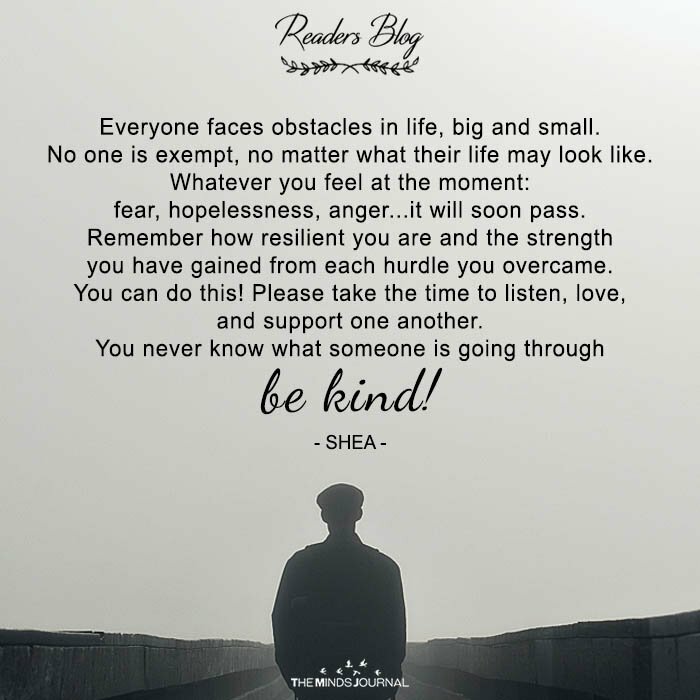 You never know what someone is going through- be kind!